Russian Foreign Minister Sergey Lavrov is welcome in Athens, Greek diplomatic sources said on Thursday after Russia's TASS news agency reported that he had canceled a planned visit to Athens in the fall. In comments to the Athens-Macedonia news agency, responding to the reports, the Greek sources said that the planned visit had been proposed by the Russian side. They added that, in any case, Lavrov is welcome in Athens. He added that Moscow was planning to expel Greek diplomats in return for the two Russians expelled from Greece last week but did not determine how many people would be affected nor when they would be expelled. The developments followed an escalation in rhetoric between the Greek and Russian foreign ministries over the affair. On Wednesday Russia’s Foreign Ministry spokeswoman Maria Zakharova said that “such things do not remain without consequences” and claimed that third countries were behind Athens’s decision. The Greek Foreign Ministry issued a response saying her statements “are a characteristic example of disrespect for a third country and a lack of understanding of today’s world, in which states, regardless of their size, are independent and can exercise an independent, multidimensional and democratic foreign policy." 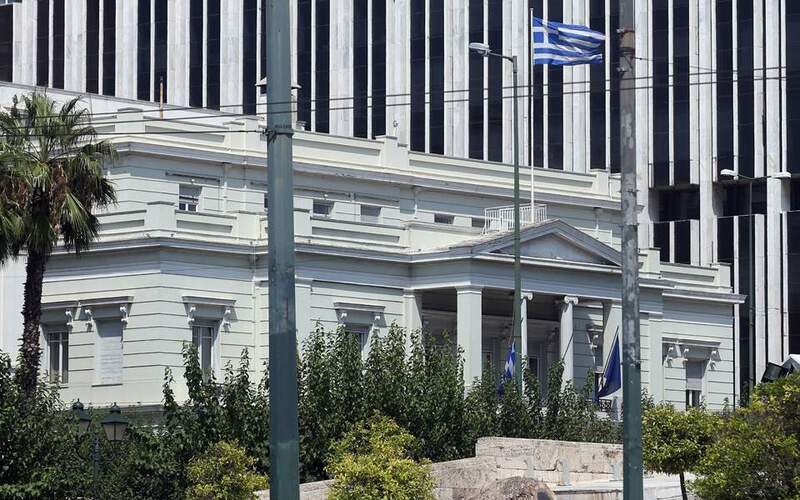 "Unsubstantiated claims to the effect that this decision was taken following pressure from third parties are unworthy of comment and indicate a mindset of people who do not understand the principles and values of Greek foreign policy," it said.